Many of you have probably heard of magic eraser, and indeed, most of you have used them, but for those who don’t know of it, but have heard of it somehow, and do not know how to use it, then you might want to read this article. When you hire a professional cleaning company, you might likely see them using this remarkable tool. First of all, as the name implies, magic erasers are used in homes, and they are very proficient in taking out tough stain, debris, dirt and even grime from every kind of surface you can think of. This question is the key to maximizing the full potential of the eraser (or sponge), because, as soon as you understand how it works, it never leaves you. The sponge is made from melamine foam, and an interesting fact about the foam is that, is that it is used a part of the materials for insulation and soundproofing, which makes it durable. It has been used in this wise (for insulating and soundproofing), and it was only a decade ago when some persons discovered that it also has some stain removing qualities. The melamine foam is strong, due to its tenacious macro-structure. The foam also has abrasive quality, so that when you use it to scrub a surface, it feels like you’re using sandpaper to scrub off the dirt, debris, grimes, and all other stains you want to take off. And what’s even better about this melamine foam is that it absorbs the debris, after it is scrubbed off the surface. Some time back, there was a false report that the magic erasers had traces of formaldehyde in it. The ingredients of the magic eraser sponge are, Formaldehyde-melamine-sodium-bisulfite, but the fact that formaldehyde is an ingredient doesn’t mean that the sponge has formaldehyde in it. Because of the false reports made about the sponge, there were speculations as to the health implications of using the sponge. But once it was established that the formaldehyde was just part of the sponge name and not, in fact, an actual ingredient of the sponge, this health speculation was allayed. So rest assured, the sponge is a 100% non-toxic and should be used without any form of fear or doubt, and it follows therefore that it does not have any health risks. How to use the eraser? After telling you how the eraser works, or rather, the composition of the eraser, it is important that you get to know how the eraser works. For those who may be using it for the first them, know that the eraser is rather easy to use, and all you need to do to get the sponge working is to put it in water and dampen the sponge, (do not make it wet). Once the sponges are watered, the melamine in it is activated, to make the sponge as effective as it ought to be. Once dampened, you can then go on to scrub the surfaces. A tip you might find useful is that the scrubbing should be done in small circular motions, for you to get the best results. When you have finished the scrubbing and are done using the sponge, wring it till it gets dry (if it was still wet). Put is in an open space for it to dry out properly. You can use magic erasers over and over again before the need to replace it arises. Knowing when to replace a magic eraser is quite easy; when it begins to crumble and fall off, then it means you should replace it. One point that you should always bear in mind is the fact that the sponge is abrasive, so if there are surfaces that abrasive cleaners could damage, then the wise thing to do is to avoid using the sponge on such surfaces to avoid the damage. If you’re unsure as to whether the sponge can damage a surface, then you can do a spot test, by trying the cleaning, on a hidden area of the surface, where people won’t notice. Even CIRI would recommend this magical tool! You can use the sponge for a lot of cleaning activities, so it is always advisable to keep the magic eraser in your home, and have as many as possible. The most obvious way in which the sponge is used is to scrub scuffs off the wall, but it also has other potentials. You can use it to scrub off stickers from bottles and glass. You can also use it on your fiberglass, in your bathroom or tub. It is also effective in taking off the grime from the floor. They come in handy in also scrubbing off a permanent marker on a whiteboard (especially if it wasn’t your intention to use permanent markers). You can also use the sponge on stoves and tiles and shoes and all other surface tops that wouldn’t be damaged by the abrasive sponge. How to save money when using the magic sponge? When you use the sponge with the brand name “magic sponge,” you’d end up spending more than you bargained for. So rather than buy an expensive sponge, you can save money, by going for the generic magic erasers. They are very effective, and they have the same melamine properties. They are affordable and also very easy to use, but they are also easily replaceable (after substantial use of course). You can also prolong the lifespan of the sponge, thereby saving money. 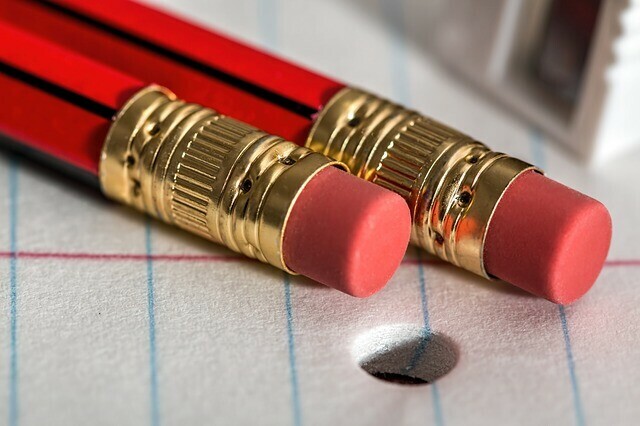 You can cut off the erasers into smaller pieces, instead of using the whole eraser at once. Also ensure that you dry out the eraser, after usage. If you feel the erasers aren’t working for you, then you might want to consider hiring home cleaners, and you can do that too, at an affordable rate. They come all with all the supplies, and they ensure that they do a perfect job for you. The Most Amazing Maids In Katy, TX And Cinco Ranch! When yourself looking for awesome cleaning service in Katy, Texas, you will find that Ready Set Maids is the best ranked and most suited to meet all your needs. Our work is backed by a 200% satisfaction and the cleaning professionals we pair you with are friendly, thorough and attentive.